New York Times Best Selling book with over 300,000 copies sold and nearly 200 Five Star ***** reviews. What is the status of your health? What if in just fifty days, you could experience more energy, feel better, look better, decrease your stress, prevent diseases, be more efficient in your work, and enjoy each day? 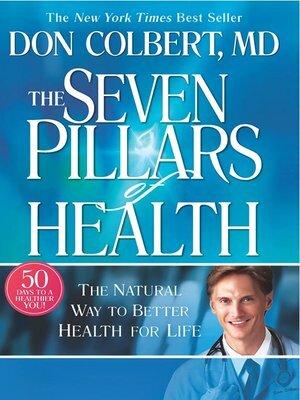 In Seven Pillars of Health, best selling author Dr. Don Colbert shares timeless truths as he introduces you to the basics of good health. Following this well-respected life plan outlined in The Seven Pillars of Health will help you make healthy choices one day at a time!